Use Rolly for two minutes, rolling it around your teeth using your tongue. The combination of Rolly’s bristles and its active ingredients will leave your mouth feeling clean with fresh breath and your teeth smooth. Rolly is the best way to clean teeth away from home! 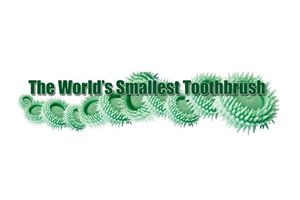 Rolly Brush… the Smallest Chewable Toothbrush in the World! 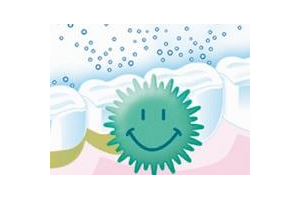 The mechanical cleaning effect of the bristles ensures the removal of food particles and plaque build up between teeth even in hard to reach areas. 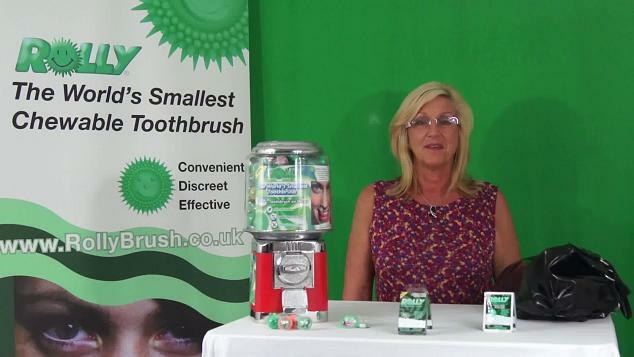 Fluoride and Xylitol will leave your mouth feeling clean and the mint aroma will freshen up your breath. 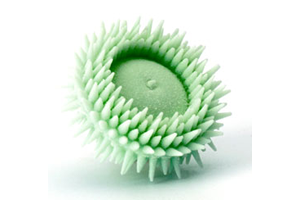 “Rolly is the best way to destroy dental plaque. Approval among consumers is high, very similar to those of Chewing Gum. The sensation of freshness and cleanliness is the same that can be obtained through the use of a toothbrush and toothpaste”. What kind of plastic is used to make it? Rolly is made from a kind of plastic suitable for the food industry which is non toxic, and is supplied by one of the world’s largest producers. Rolly is produced and packaged in Italian Specialized Industries, following strict hygiene rules. The kind of packaging used is the same as the pharmacy industry and this makes it much safer and hygienic. Not recommended for children under five. Dispose of in a proper waste receptacle.